This year, I was delighted to be appointed to the ALSC Early Childhood Programs and Services (ECPS) Committee under the fabulous leadership of Matt McLain. Because ALSC members typically serve two years on a committee and then rotate out, when I began attending meetings they had already decided to create posters for parents to be displayed above or around changing tables in libraries, businesses, and other public places, highlighting the five practices from Every Child Ready to Read (Talk, Sing, Read, Write, Play). These early literacy practices posters would be downloadable and printable, and hopefully customizable. All parents of young children need to change diapers. If visually appealing, easy-to-read posters were posted above changing tables in public locations, parents would likely glance up and see them during the diaper change. If the rhyme was short and familiar, and the language was easy to understand, our committee hoped that parents would actually recite the rhyme on the spot to their children. Using a simple developmental tip to accompany the rhyme would help parents understand that reciting rhymes with their children is a valuable activity that can help build important skills for the future. By combining the tips with easy, practical suggestions, our committee hoped to encourage parents to begin incorporating the five practices into everyday life with their child. Research has indicated that there is a link between the number of vocabulary words children know and their economic background. Published in 2003, “The Early Catastrophe: The 30 Million Word Gap by Age 3” by researchers Hart and Risley demonstrated that during the first years of life, children from low-income families hear about 30 million words less than their peers who come from more affluent homes. Young children learn words by hearing them spoken by other human beings (not necessarily electronic media! ); when parents speak with their babies, they are building neural connections in their children’s brains. In addition to building a larger vocabulary, the young brains are growing more synapses to enable easier learning later on in life. The study by Hart & Risley determined that lower income parents were speaking less or using fewer words while in conversation with their children. Further studies made the connection between having larger vocabularies when entering kindergarten and higher rates of graduation from high school. Having a high school degree influences the type of job and salary a person can generally expect to get. It has also been shown to affect health outcomes, family stability, and lifetime earnings. Thus, the number of words a child knows when entering kindergarten can lead to disparities, increasing the economic divide in our country. Yet this gap can be easily bridged; having a large vocabulary before entering kindergarten can make a difference! With encouragement from the ALSC Board of Directors, the ALSC Early Childhood Programs and Services (ECPS) accepted the mission of addressing the 30 million word gap by creating posters to tell parents that babies need to hear words every day. The ECPS committee held monthly online chats in addition to meeting at ALA Conferences and exchanging regular emails. At first, committee members submitted early literacy tips such as “Sing a rhyme (or do a fingerplay) while bathing or changing your baby,” for each of the five practices. Then we compiled a short list of rhymes to go along with each of the suggested tips. The rhymes had to be in the public domain; if there was any question about a rhyme’s copyright, the rhyme was excluded .The next step was to select an artist; Il Sung Na was chosen. Then, committee members looked through his books and videos in order to find images to match the tips or rhymes on each poster. Once this was done, ALSC secured rights with Random House to use those specific images. Although the posters use simple language, it was not so simple to design them! After the rhymes, tips, and illustrations were put together on posters, committee members weighed in on issues such as font size, placement of text, and spelling. Finally, the posters were ready and our excitement about increasing children’s exposure to language was growing. 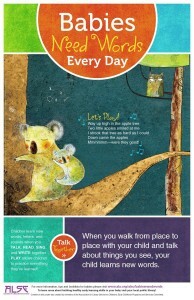 Our “Babies Need Words Everyday” posters are now available for free download from the initiative’s webpage: http://www.ala.org/alsc/babiesneedwords . They are meant for EVERYONE: your library, community partners, businesses in your community, and families. At ALA Midwinter, the ECPS committee will be hosting a session called “Babies Need Words Everyday,” starting with keynote speaker Patti Miller from the Clinton Foundation’s Too Small to Fail initiative and followed by a panel discussion and a talk about the posters. Printed posters will be available at the session. 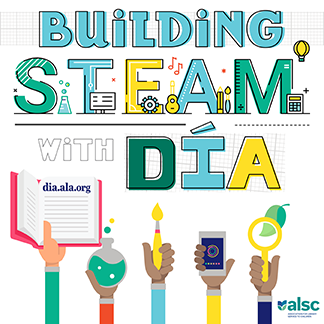 Our thanks go to the ALSC Board of Directors who were instrumental in this project’s success by funding the poster printing, ensuring their translation into Spanish, and encouraging free distribution. Because of ALSC’s strong commitment to bridging the 30 million word gap, and the valuable work that can be done by a cohesive committee with strong leadership, the concept of creating posters for changing tables has become reality. Please check out the posters at http://www.ala.org/alsc/babiesneedwords, join in the session at ALA, and volunteer to serve on an ALSC committee for the coming year. Together, we can make a difference. This is fantastic work! Huge congrats to the Early Childhood Committee!! I hope these posters make it onto hundreds and thousands of walls above changing tables. I’ll make sure they’re above ours! I am thrilled to see the work in the area of literacy being addressed for the early childhood population. I have spent my career working with this age group and/or teaching early childhood education at the college level. 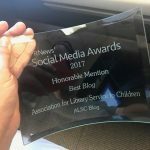 I love to send child care centers take their three and four year old children to the library for story time and to check out books. Everyone is a winner. 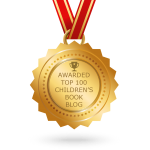 It provides the preschool teachers a role model in storytelling and it is a tool that encourages parents to read books to children. Congratulations. I am building up my own website and I will add your link to my information.